In July 1964, the federal government, via the Federal Communications Commission (FCC), adopted a non-duplication rule prohibiting FM radio stations in cities of more than 100,000 people from merely running a simulcast of the programming from their AM counterparts. Stations fought the rule and delayed implementation. Station owners did not succeed in their fight and many decided to experiment with the still new but growing rock genre. Soon rock FM stations dotted the land. 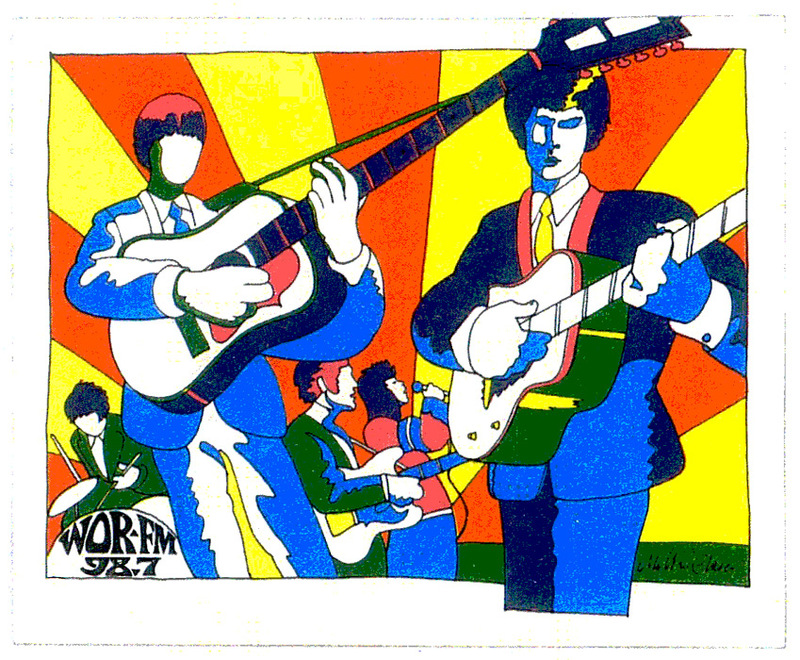 And so on July 31, 1966 New York City’s WOR-FM began running a freeform-based progressive rock format for most of its broadcast day. Management was unable to come to an agreement with the American Federation of Television and Radio Artists (the union that represented on air talent). As a result, the DJ’s did not start until October 8. Listening to the sample above from the first day of DJs playing (not particularly different from the previous months’ playlists), the listener will realize that the playlist was not particularly different from the AM pop radio playlists. That difference would not happen until the FM DJs began to experiment play more album cuts of their own choice. 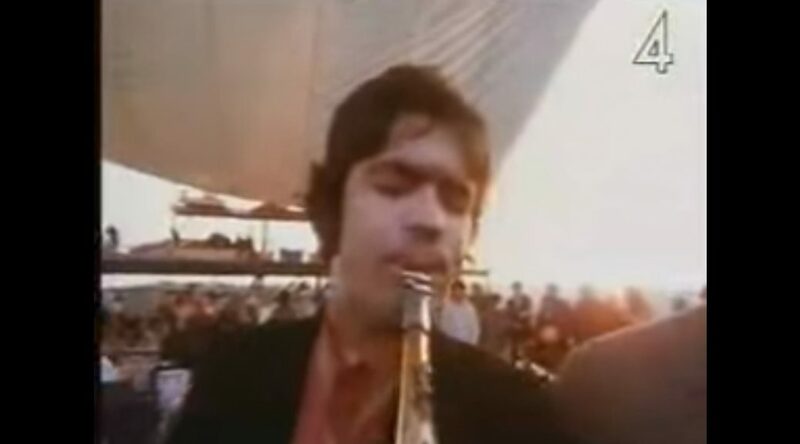 It was that difference, the question of choice versus the handing down from on high of a playlist, that soon separated FM “pop” stations using the Drake method of programming from the stations like WNEW-FM (also in NYC). WNEW-FM gave its DJs much more leeway when choosing what to play. After hardly more than a year of the new format with DJs, many of the original group left. 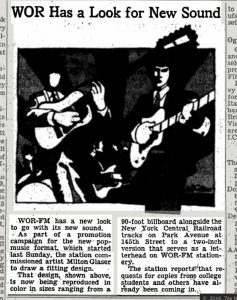 Bill Mercer, or simply Rosko, was one of the more popular of WOR’s DJs. He brought a unique free style he brought to his shows. Fans loved him and it, but he realized that management did not want that style. 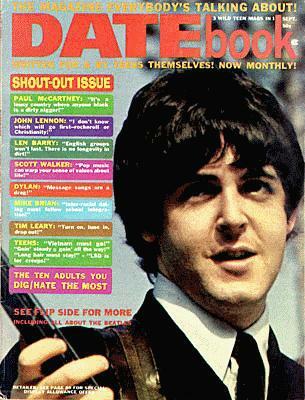 By 1966, the whole world seemingly knew who Beatles were and that most of the world liked their music and them, too. That is only a somewhat accurate statement. Of course there were many who did not like the Beatles’s music nor the Beatles themselves. Critics made wise cracks about them needing a haircut, looking like girls, their looks in general. Rock and Roll was just a teenager and there were plenty of people who were suspicious of the music and anyone associated with it. The Red Scare and McCarthyism of the 1950s still echoed in the early 60s, the Soviet Union was still our arch nemesis, and the re-invigorated civil rights movement threatened the status quo, however unjust that status quo was. 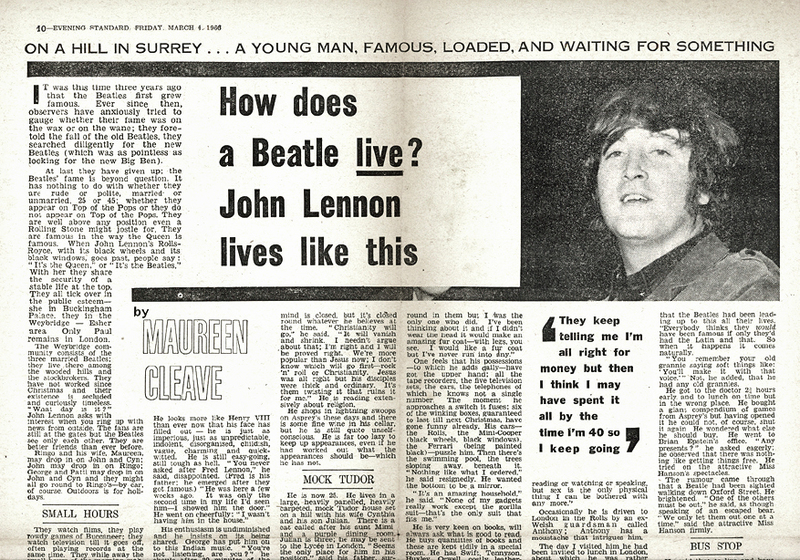 On March 4, 1966, Maureen Cleave interviewed John Lennon for the series. The article appeared and that was that. No outrage by the British. 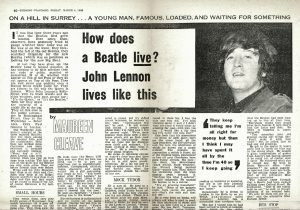 Tony Barrow was the Beatles press officer. He offered the rights to all four interviews to US teen magazine, Datebook. 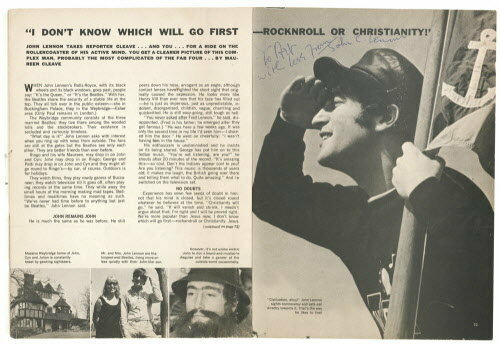 On July 29, 1966 the article appeared with a headline featuring the Lennon Christianity quote, which was only a small part of the entire interview. The Beatles toured that summer, but it was their last. While the Christianity comment alone did not cause that cessation, it was a part of it.